We love to partner with companies and places in our community looking for vending solutions to offer to the residents, employees, clients, and guests. We offer a truly customized vending experience regardless of location, size, or industry. Our account team has a list of frequently asked questions as new partners begin their vending relationship with Bernick’s. We also field a lot of calls on who qualifies or is best suited for vending machines onsite at their building or office. We offer this ballpark: 50 people in an office or building is a great starting point to consider offering vending onsite. Sometimes, 30 – 40 people could justify a soda machine, while the 50 could also mean a snack machine. Here are our seven most frequently asked questions about vending. 1. What Does Bernick's Portfolio Look Like? What are you looking for? That will determine what kind of machine I will set you up with and the products associated. Are you interested in a traditional snack machine, or do you also need a cold food machine? Do you wish to offer employees or guests a full beverage setup featuring more than CSD - carbonated soft drinks? For example, if you want smaller cans, like Bubbl'r or bottles of enhanced water beverages, we want to know that. Those don’t vend out of “normal” 10-select machines. In that instance, a glass front machine would better suit your needs. 2. What is Needed On My End, Space-Wise? Probably a little less than you actually think. Since the machines are single units, we can play around with layouts if you have more than one machine to install. We can be surprisingly flexible when it comes to space. You might actually already have a break or kitchen area being utilized in your space. 3. What Kind of Electrical Access Do You Need? You don't need anything special or tailored to vending. But you do need one dedicated outlet per vending machine. Some of our machines have energy-saving technology including LED lighting, digital compressor controls, and movement-activated features that shut off lights when not in use. 4. What About My Employees Who Want Healthy Products? A lot of people like to see different, better-for-you products in vending machines as an overall consumer trend. There are certain organizations that have wellness committees onsite and will work with our account team to make vending selections align with their priorities. Sometimes, people just want MTN DEW and traditional snacks. We carry an extensive product portfolio with endless snack and beverage options and that includes “Better for You” snack options and natural selections. 5. How Much Will It Cost Me? There is no cost to you. None. Yes, seriously! We provide equipment, as long as we can place it in high-traffic areas. This benefits employees and clients, as well as allow Bernick’s to sell products. There isn’t any fee you pay for installation, service charges, or to deliver product. No cost. Period. 6. My Business is Seasonal. Now What? We’ll place a hiatus on service and delivery, as long as the operational season moves enough volume in the four months of summer, for example. In some instances, it might make more sense to utilize Bernick’s as a wholesale supplier versus vending solution, but again every scenario is different. You have options. A hockey arena might have soda vending machines, but only offer canteen or concession items for purchase as wholesale in its busier months. 7. Who is Stuck With the Inventory? You don’t have to worry about it if you don't want to. It’s your choice to have par level stock on hand, meaning you always have a certain amount of inventory per product on your premises. If you’d rather give your order to us directly and have us deliver it, we can do that too. It will depend on how many people you have onsite each day and what your expected serving will reach. Your account rep will also proactively reach out weekly (or monthly) to say, Hey, do you need more Rockstar? Just so there’s never a moment of panic when you realize you didn’t order this week. 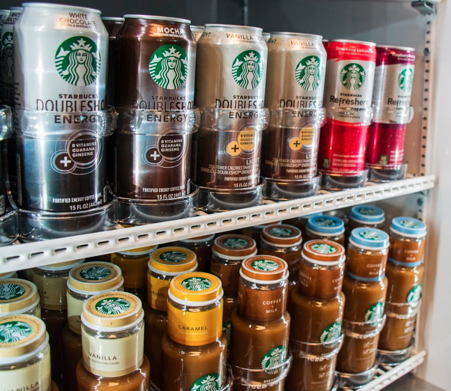 We work to customize your vending options to match your unique business or building to ensure everyone’s needs will be met. That’s our promise to you.